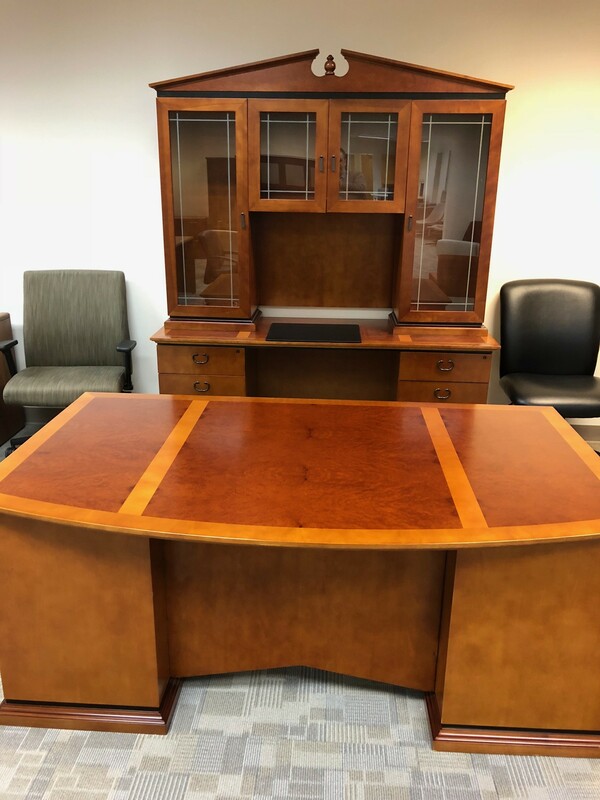 Beautifully inlaid Biltmore Cherry Burl Wood in Warm Golden Honey veneer. 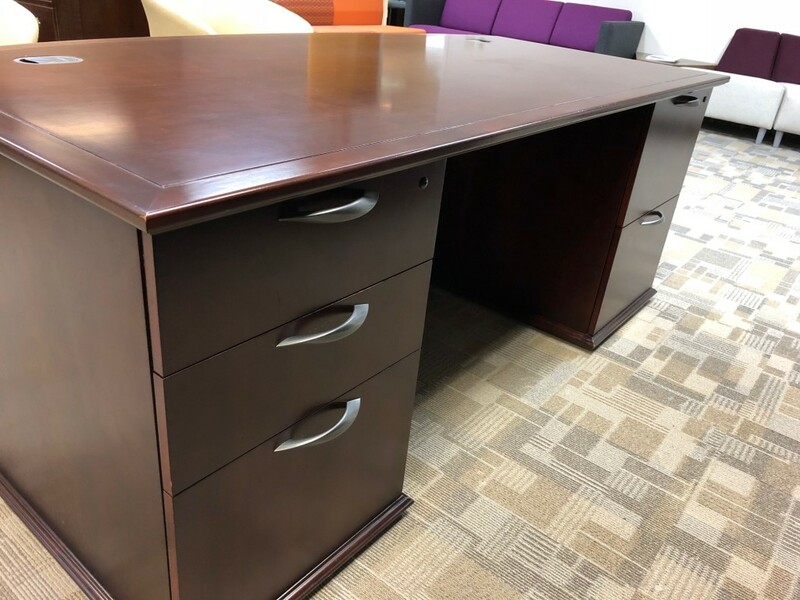 Desk 36″/42″d x 72″ Bow Front with center drawer and 2 box/box/file pedestals. 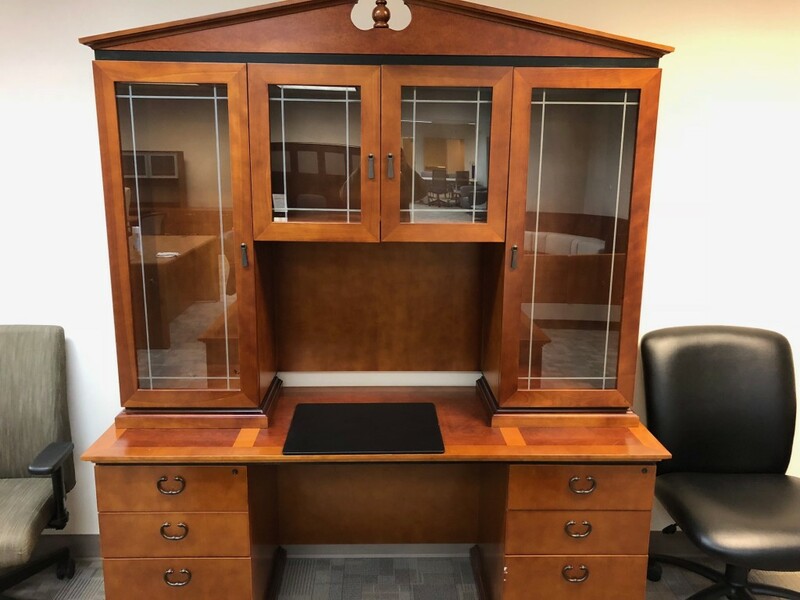 Dimensions: 160″ x 90″ Each station includes utility cabinet/file/file, closet, accessories/file/file, box/box/box/file. 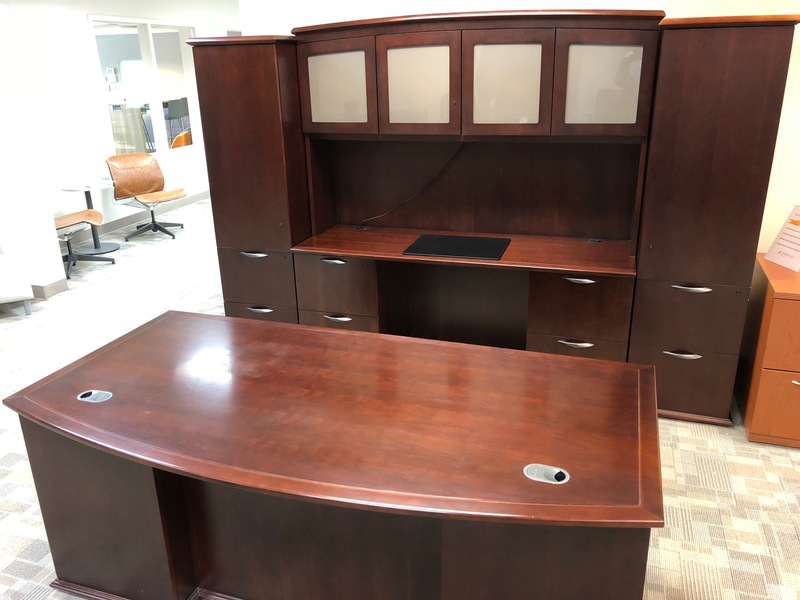 Dual stations accommodate adjoining overhead with hinged glass doors and lights. 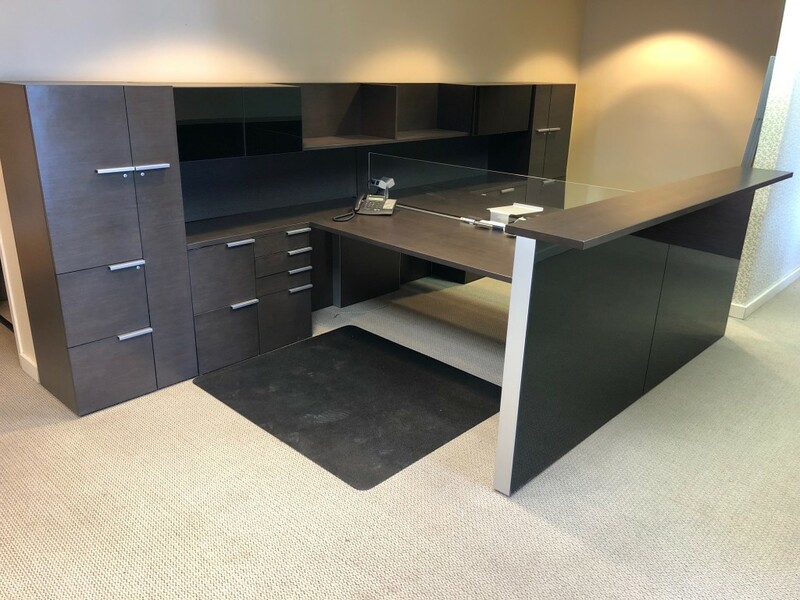 Back painted glass and wood veneer features on this unit will elevate your space. 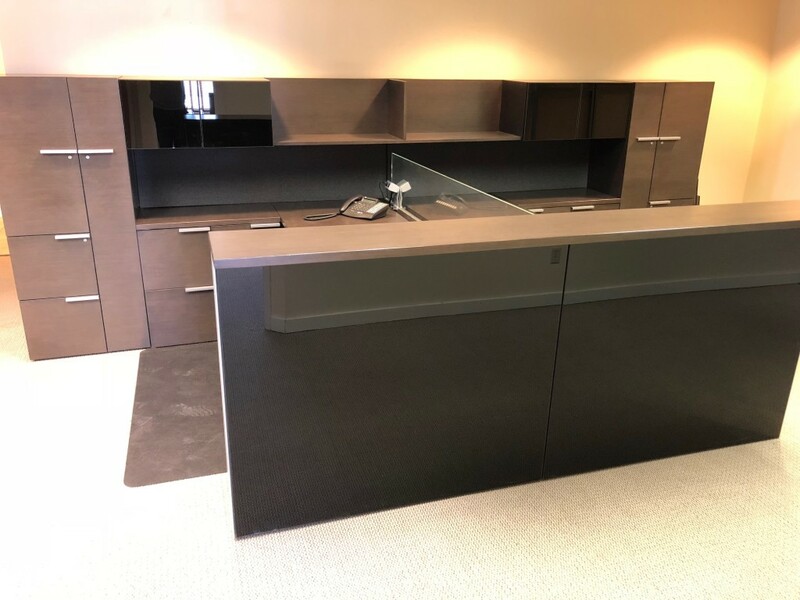 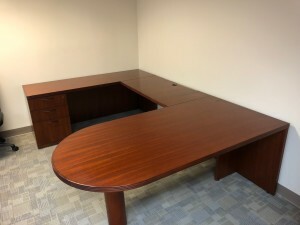 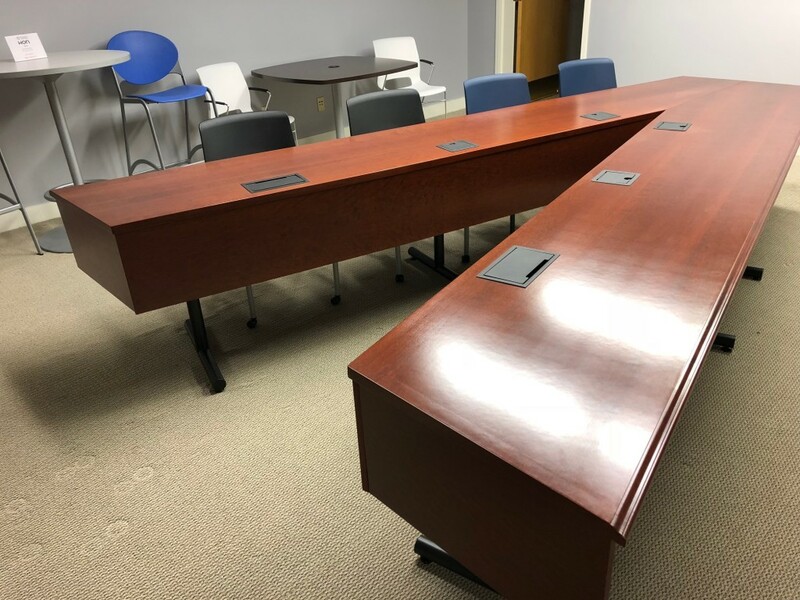 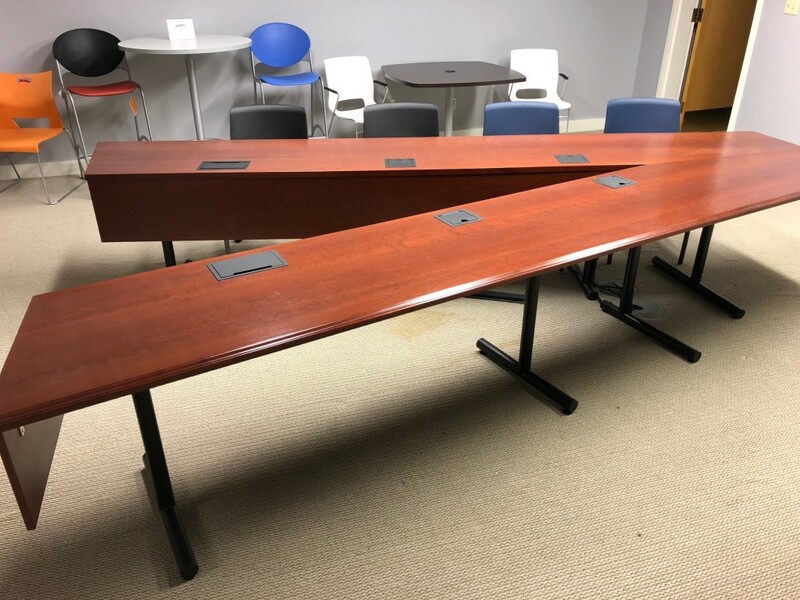 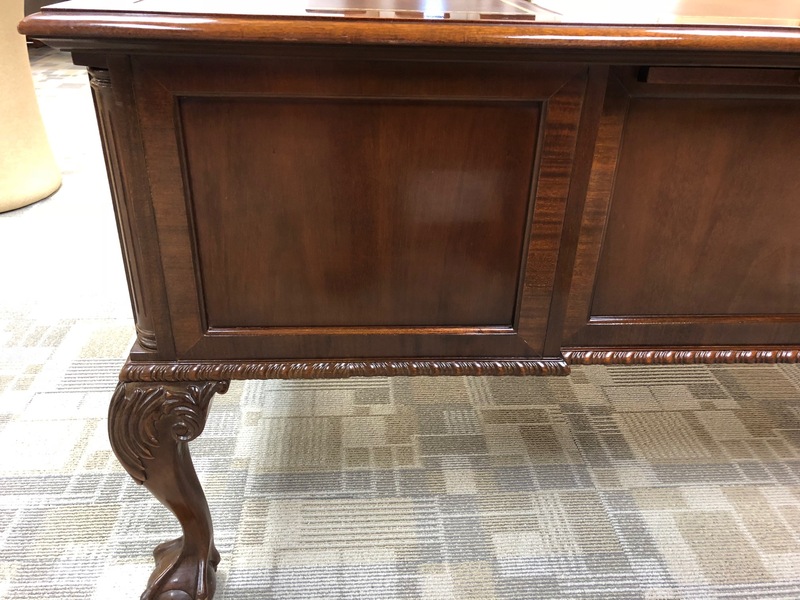 This Used Kimball Executive Desk with a box/box/file drawer unit in a mahogany finish is ready for a new office or home office. 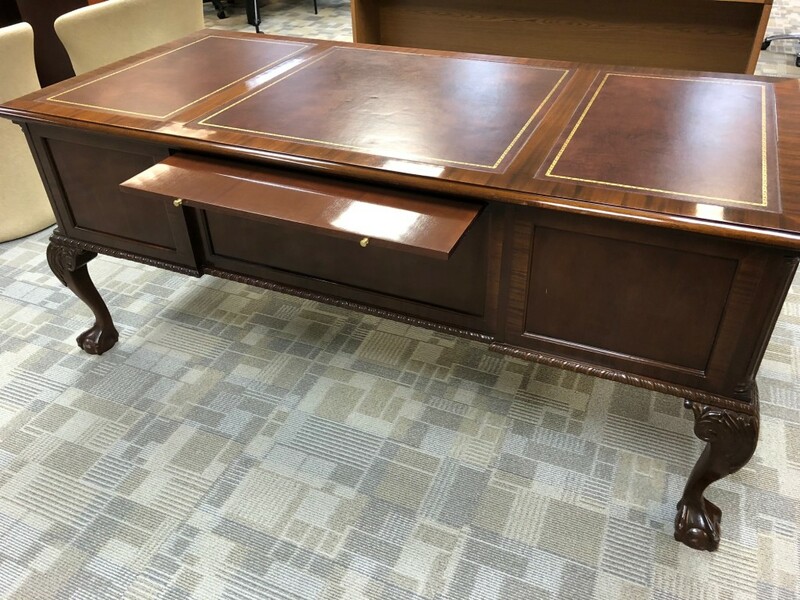 Priced at: $995.00 Contact us for more details.